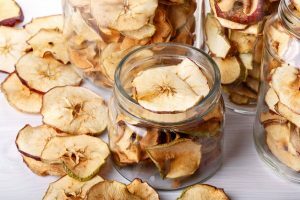 Are you keen to dehydrate your food at home but are not sure how to go about it? 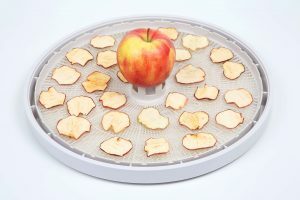 It is possible to preserve vegetables and fruits if you have a food dehydrator at home. Nutrition experts will always recommend you to dry fruits and vegetables on your own as the ones purchased from the shores can be inferior concerning hygiene and quality. Plus, you can store the home-prepared dehydrated fruits and vegetables without adding any preservatives or chemicals. 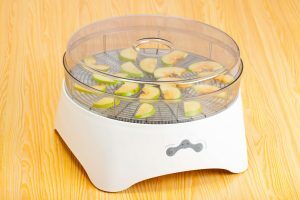 You may be thinking why do you need to own a food dehydrator if the veggies or fruits can be dried in your oven. 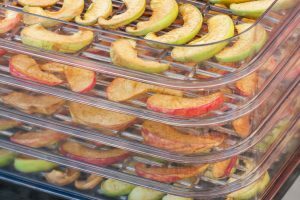 While it is possible to dehydrate your food in an oven by setting low temperatures for an extended period, there are several benefits of using a food dehydrator over a stove/oven to do the same task. 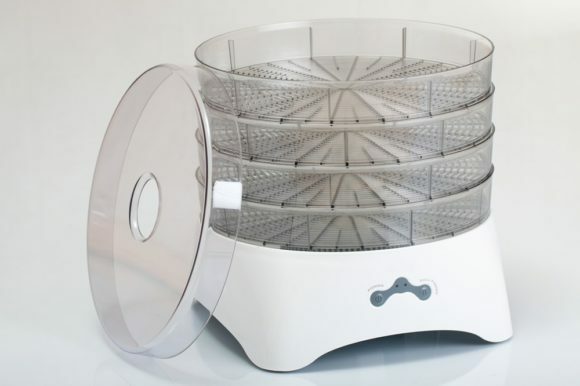 Firstly, your food is likely to have a longer shelf time when you use a good food dehydrator. 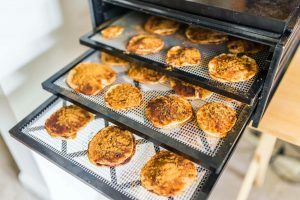 It can separate the moisture from your food in a proper manner so that the food can be preserved for around a year longer as compared to when you had dried it using an oven. Secondly, a food dehydrator is relatively pocket-friendly. The upfront cost is there, but it can be offset when the appliance is repeatedly used. Additionally, the food appliance is a small gadget, which consumes little electricity. 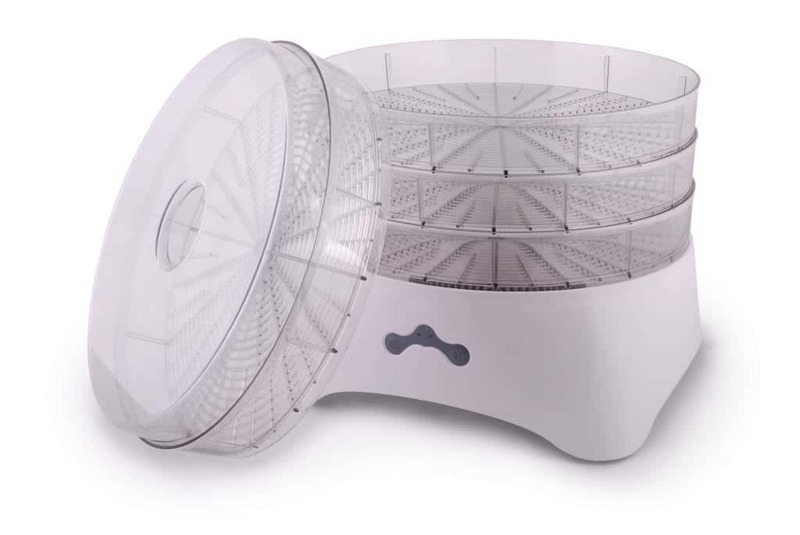 The dehydrator will also save you money since you are not required to heat a lot unlike an entire oven for dehydrating the food. Only a small space needs to be heated that saves the energy, and the stove/oven can be used for some other purpose if necessary. An ancient technique of preserving and storing food is done through drying. 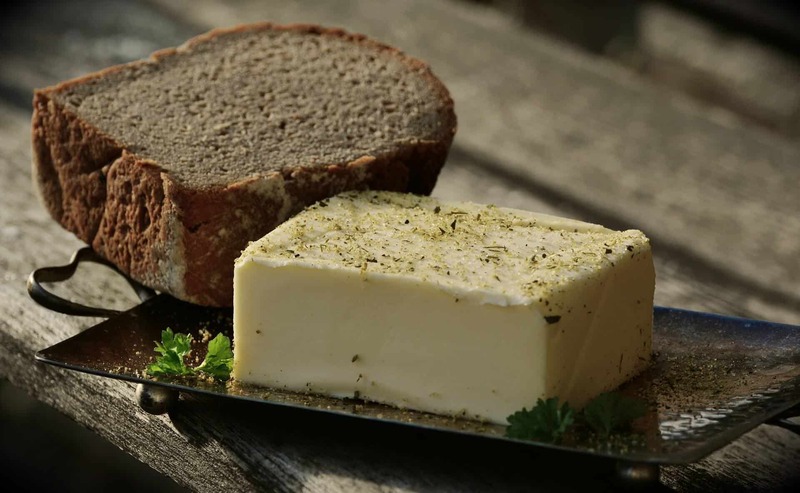 Dehydration can remove adequate moisture from your food to prevent spoilage and decay. 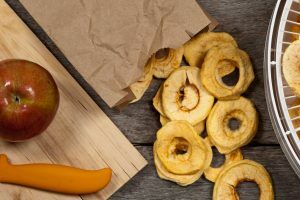 An excellent way of enjoying the foods that are out of season is by using a food dehydrator, which is an excellent alternative to freezing or canning foods. 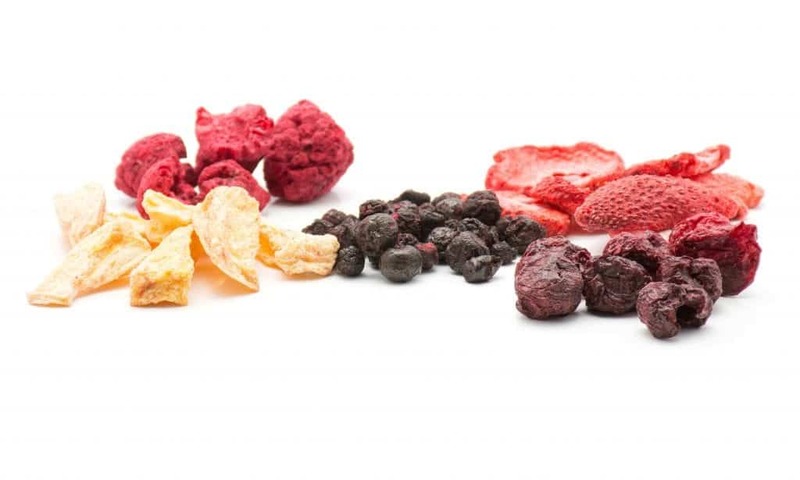 Dried vegetables or fruits is extremely convenient as a packing item for people who are on-the-go since they do not have to refrigerate them, they are not sticky or messy, are compact and do not occupy plenty of space. Dried foods are lightweight and also offer quick energy. 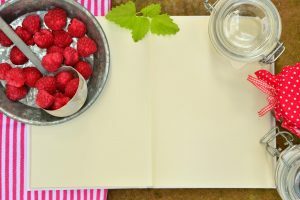 When you are in the habit of always camping or backpacking, make your meal an enjoyable experience by including dehydrated vegetables and fruits. Some dried fruits such as berries and apples are rich sources of natural antioxidants, which can be useful for you to prevent various types of lifestyle diseases. Hence, adding antioxidants like dried fruits in your diet can be the perfect way to make sure that your eyes, skin, and hair are in excellent condition. The American College of Nutrition published a study in 2005 wherein it observed that the concentration of antioxidants is higher in dried fruits as compared to fresh fruits. Dried fruit is known to be calorifically dense. As the fruit loses moisture during the dehydration process, the concentration of sugar content, calorie and nutrient become higher. While some people may say that it is not a positive trait, it also depends on who you are asking this question. In case you are an outdoor person and love sightseeing, skiing, biking or even hiking, dried fruit snack though of a high calorie is an excellent way to recharge. Dried fruits have sugars in concentrated form as mentioned before and the entire water gets dried up during the process of dehydration. All these dried fruits may function as a quick source of energy and pick-me-up, which is natural and comes without any side effect. You can munch on these dried fruits regularly whenever you feel hungry without making your digestive system feel overburdened. Since most of the moisture has been extracted from dried fruits, they are light on your stomach and are not likely to make you feel lethargic or bloated like junk or oily food does. It is true that as far as the nutrition is concerned, some vitamins may get destroyed while dehydrating the food when heat is applied to it. Fortunately, though, dried fruit can retain the entire iron and fiber. Fiber is associated with many therapeutic values such as reducing the risks of some cancers like gastrointestinal cancers including colorectal cancer. Plus, a food dehydrator usually used at home is not typically very harsh on the nutrients while compared to the drying process through commercial techniques. Additionally, there is no sodium, cholesterol or fat in dried fruits. 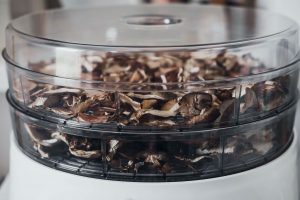 Another merit of using a food dehydrator in your kitchen is that you will not include any form of preservatives or additives and can use organics if desired. Certain dried fruits such as figs, prunes, and apricots offer nutrients like potassium, calcium, iron, vitamin E, beta-carotene in right quantities that are necessary for a healthy mind and body. A daily serving of dried fruit can offer the essential dietary nutrition value for adults. You will find that the dehydrated fruits are merely delicious to eat since their sugars and nutritious are in concentrated form. They are extremely easy for digestion too. Dried fruits are small in size, and since they do not have fats, they are just ideal for all those people who have an affinity for eating light. You can try out various types of dried fruits from dried apples to sweet and sour berries, which taste of sugar and cinnamon. 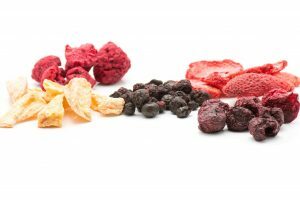 Thus, there are different kinds of dried fruit items that you can enjoy. Irrespective of whether you want to surrender before your sweet tooth. Or try out savory things, there are plenty to choose from the dried fruit items. Are you looking for food items with an excellent source of fiber? If it is so, then how about including some dried fruits like prunes in your daily diet? While serving similar sizes, the dried fruits constitute of higher fiber as compared to the natural fruits. You must be aware that fiber is a necessary part of your diet for your stomach’s better health. It also makes sure that your digestive system is in good health. Yellow and orange colored fruits such as papaya, apricots, and pineapples are excellent sources of beta-carotene and vitamin A that helps in improving your body’s immunity.